Thanks FaceTime Bug... Now We Have To Move! 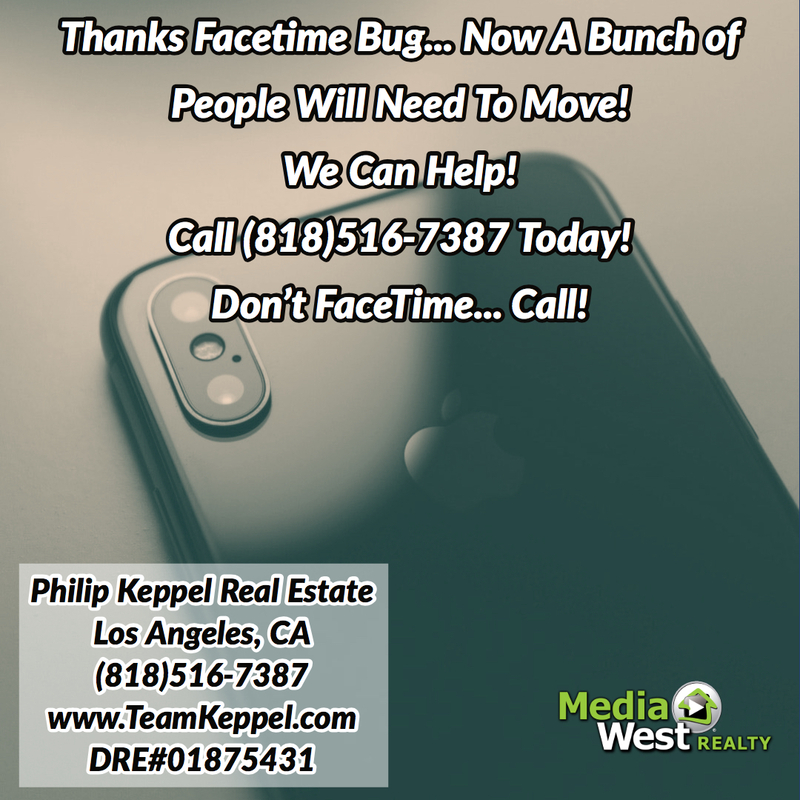 Facetime Bug Got You Down? 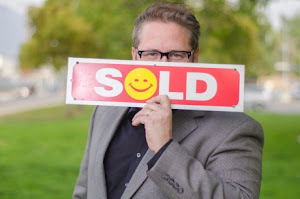 Real Estate Goal for 2019 = Move Away! Call, Text, or Email - No FaceTime Please. 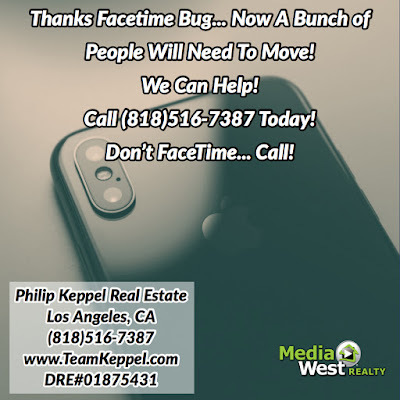 (818)516-7387 For All Los Angeles, CA Area Real Estate Help!